Are you interested in starting a business of your own in the new year? 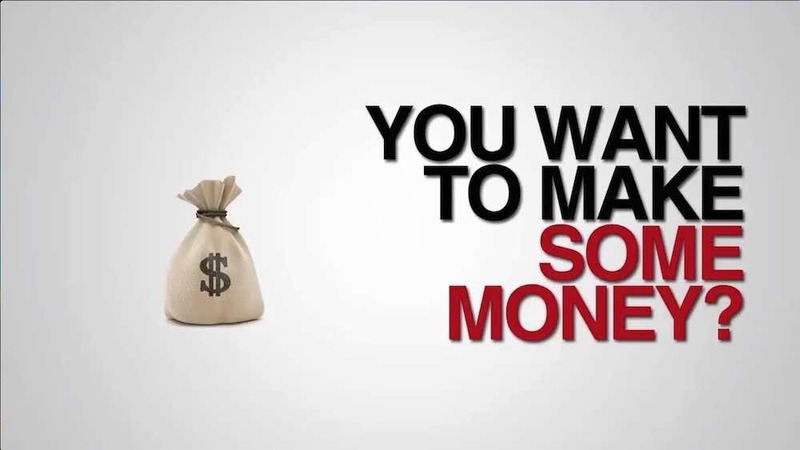 Or you are in search of good business ideas that will increase your earnings in the new year? Then you are in for a treat as we have prepared a list of lucrative business ideas to make money in the new year. It is understandable that you are working towards improving your finances and you have probably set out to double or even triple your income legitimately. That’s definitely the right thing to do. Money might not be the most important thing in life, but it most certainly makes the world go round. We have subsequently put together this list of the best small business ideas in a bid to assist you to reach your financial goal. Carefully go through these good business ideas that would be reeled out to you as you read along. I should also mention to you that you will need to get trained in some of these areas before setting out to start your business. Now, let us look at dive into this list of profit guaranteed good business ideas that you can engage in this new year. This may not scream out as the coolest business idea ever. But it is an option that has great potential. Every person and business in America need to do their taxes each and every year. This business is virtually bullet proof. You know what they say about there being only two things you can count on. Death and taxes. Startup costs are below $1,000 and you can get certified in 4-10 weeks. There is a multitude of options when it comes to opening your own store. The beauty of this business is that you can focus on selling a product that interests you: antiques, specialty clothes, crafts, books, etc. You can start out small and grow it as large and fast as you want. With new phones and models coming out all the time, there is a constant turnover of phone cases and accessories. If you are able to create your own unique styles and products, this can become a very lucrative business, with low inventory costs. You can branch out into laptop and tablet cases as well. This business has probably made every list ever written on businesses you can start. There’s a reason for that. It’s relatively inexpensive to start because all you need is a lawn mower. You can start making money instantly and there is always yard work to be done. For those with a strong work ethic and commitment to customer service, this can become a $100,000 a year business pretty quickly. Do you have a home? Do you like kids? Quality day care can be hard to find. There is usually a limit to the number of kids you can have in your home based on local zoning laws. So as the good day care businesses get filled up with kids, there is always a demand for new businesses to open. The best part? You can decide before hand what your hours will be. Only want to watch kids for 6 hours a day and not on the weekend? You can do that. You set the parameters. There are many households where no one is home during the day to take care of Fido. With a little bit of planning, you can start a great family business walking dogs, feeding cats and checking on birds. These jobs will generally come from higher income households who can afford to pay for this special treatment for their furry friends. Any job that caters to upper-income neighborhoods has the opportunity to charge a premium fee and make a decent income. Many landlords get tired of dealing with tenants. Especially if they have their own full-time job. If you are a handyman and don’t mind emergency calls in the middle of the night, property management can be a lucrative field. There is generally a few hours of coursework that you have to take and you’ll need to stay up to date on landlord tenant laws. But at the going rate of 7-10% of the monthly rent, this can be an excellent business that the whole family could be a part of. Do you like to cook? Do you have some additional hands in your family to help? Catering businesses are often a family affair that gets passed down from generation to generation. If you happen to have such a family tradition, then catering business could bring the extra cash you need. Have a passion that you think might be able to be a business? Weekend markets are the perfect opportunity to try out your business concept without having to put out a bunch of cash. From flowers to fruit. From baskets to brisket, these markets have it all. If you have a nice home with some extra bedrooms this could be a great opportunity to bring in some extra cash. If you live in a high demand city or have a beautiful location you can easily turn this into a full-time income. As people get more and more used to abandoning the hotel, there will be increasing demand for other alternatives to stay during their vacations and trips. Once you start selling a larger quantity of items you’ll need to get a commercial kitchen and store front but to start all you need is a counter top and stove. Many bakery shops start off selling their famous cupcakes to family and friends. Word of mouth takes it from there. You don’t have to put out tens of thousands of dollars to start a major franchise. Hipsters, millennials, and locals are always looking for niche coffee shops that have a great atmosphere and good coffee. You can add other features like a cafe and live music to draw in a bigger crowd. Most small businesses hate keeping their books. But the number one reason small businesses fail is because they don’t keep track of their numbers. Quality bookkeepers will quickly grow into a sustainable business that will need to hire two or three employees (or family members) to keep up with demand. This business can range from an on-site automated car wash to a mobile detailing service. Although the startup costs are much higher with a car wash building, you can sell to all income ranges. A mobile detailing service will cater to the higher incomes. People love their cars and car wash businesses are like the dry cleaning businesses, there will always be a need. It’s a common inside joke for those that own a dry cleaning business. They are usually richer than their clients. With a huge profit margin and low operating costs dry cleaning can be an extremely lucrative business and is often kept in the family. For the cost of a carpet cleaning truck, you can be up and running your business in just a few days. Similar to lawn care maintenance, this is a job that everybody knows they need to do. Provide quality customer care and you will have lifetime customers that keep you coming back year after year. With the strong real estate market that we have been experiencing the last couple years there is a huge shortage of qualified appraisers. While there are some ebb and flow with this business based on market conditions, there will always be high demand for appraisers. The reason why? Every time someone needs to get a home loan, to purchase or to refinance, an appraiser is needed to complete the transaction. Similar to #17. Buyers will always need a professional opinion on the quality and condition of their home before they buy. Good inspectors can make $250-$350 per inspection and do 2 or 3 a day. Have a pickup truck or a large van? You can start a junk removal business this afternoon. There are always people who have items that need to be thrown away that they can’t take care of on there own. Strong enough to pick up a mattress and take it away? Walk away with $50 cash for less than 20 minutes of work. Starting a restaurant isn’t easy. But if you can cook great food and provide a fun and enjoyable experience while your customers eat, restaurants can be a long lasting business that everyone in the family can participate in. If you live on the outskirts of any decent sized city and having an acre or two of land, there are sure to be people willing to pay a premium for local beef, pork, poultry and eggs. Possible livestock farming options include goat farming, pig farming, poultry farming, snail farming and fish farming. Expand your offerings by planting a garden and selling organic produce or fruits. Most people hate confrontation. They want to focus on their business and not focus on chasing down that old unpaid bill. If you have a strong back bone and aren’t afraid to pick up the phone or knock on a door, debt collecting is an in demand business. Business owners will happily give you a major percentage of any money you can collect because they don’t expect to see any of it anyway. If anyone in the family has construction or handyman experience this is another easy business to start up without a lot of cash up front. Like all good service businesses, if you provide quality work and a reasonable rate, you will get more referrals than you can handle. Like running errands and doing odd jobs? A home services business can be catered to meet your needs and the needs of your clients. Some households are too busy to go to the grocery store and make a home cooked meal. Or maybe they are older and no longer drive but need someone to take them out to their hair appointment and other errands. Do you live near a popular tourist destination? Become a local guide. This could be a local hunting guide or someone to guide tourists around the city. Do you like planning and organizing trips? Make a great business doing this for other people. Busy professionals want to take vacations but they don’t have time to plan it out and take care of all the details. Offer this service for them and presto! you’ll have a business operating out of your home office in no time. »There you have it, 25 fool proof business ideas for making money in this new year.